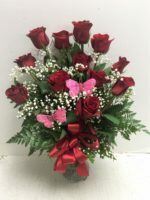 Hawaiian flowers, roses, lilies, hydrangea and assorted greens will let them know you’re thinking of them with spirit, love, appreciation and more! 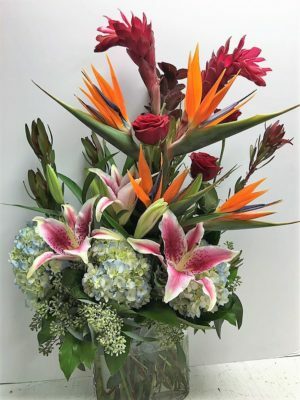 This Spectacular design, created by Pamela E Smith, Michigan State University Floriculture Graduate, is unique to Roadrunner Florist. 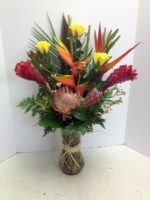 Stunning Hawaiian flowers are tastefully arranged for a spectacular display of WOW! 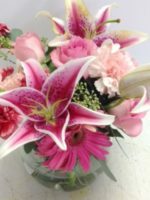 Guaranteed to top the occasion, these flowers will convey your sentiment if you’re looking for a particular wide-eye stunning floral arrangement. 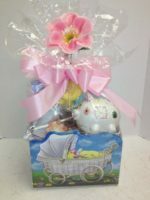 On our website you will find many options for Hawaiian flowers. 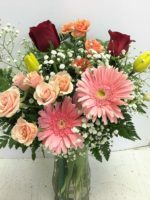 One of our favorites is called The Arizona Biltmore, appropriately named after our famous Frank Lloyd Hotel, and worth your perusal. 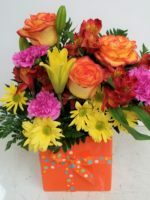 Fresh Hawaiian flowers are delivered to our beautiful flower shop 3 times a week. 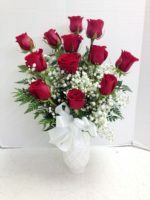 They have carte blanche to send their freshest, seasonal flowers, and we never know what they will be! 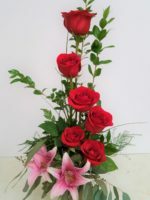 Therefore we reserve the right to substitute flowers on all of our Hawaiian arrangements.